Dubai’s Jet Ski Company Ride in Dubai has introduced special offers and giveaways this New Year. “Book your ride and get 10% off until the 31st of January 2019”. Dubai jet ski has a number of packages for water sports enthusiasts. To start with, the Burj Al Arab jet ski tour is a 30 minute session for 350 AED. It is a popular package particularly for beginners who want to experience the exhilaration and excitement of jet skiing for the very first time. Every Tuesday ladies will get 30% of on all activities, and on Wednesday jet skiers can buy one and get one off at 30%. These are amazing deals for riders whether they are residing in Dubai or vacationing. There is also a jet ski and flyboarding experience for Emirates Face Card holders who are eligible to receive 20% off the entire week. 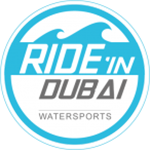 The Ride in Dubai team offers the best possible jet ski and flyboarding experience with the best equipment and high quality service. Their team is made up of professional and certified instructors that will guide the riders from the start to the end of the session. Jet skiing is one of the most incredible ways to experience the stunning beauty of Sheikh Island and the Dubai Royal Family beachfront palace. “Make your time in Dubai unforgettable and book a ride today. We have some amazing deals and special offers for our clients in the New Year. Never jet skied before? Make it your New Year resolution. It will be one worth having”, says the Head of Ride in Dubai.